This is the final post in a series of posts reviewing the Nats pitching staffs at various levels, and has been about 5 weeks in the making. Since the minor league seasons end September 1st, all the minor league versions have already been posted. Here’s links for the farm system: AAA is here, AA is here, High-A is here, Low-A is here, Short-A is here, GCL is here. Tomorrow I’ll post the organization-wide far-too-early predictions for who will be at what level (and in what role) in 2013, summarizing all of the “Outlook for Next year” points for every pitcher in the system. Stephen Strasburg: Somewhat lost in the season-long soap opera of “Shutdown-Gate” was the excellent return that Strasburg had. Final season stats: 15-6, 3.16 ERA and 1.155 whip in 159 1/3 innings, good for a 125 ERA+. His FIP and xFIP were 2.82/2.81 respectively, meaning his ERA was slightly unflattering on the season. He dialed back his fastball a little bit as compared to the past two seasons, but can still throw a 95mph 2-seamer and an 88.7mph change-up with 8 inches of horizontal break, leading him to an 11.1 K/9 rate (which would have led the NL by nearly 2 K’s per 9 had he qualified). Just a few stats for you in case you forgot just how awesome Strasburg can be. He tired towards the end of the season (4.50 ERA in his last 5 starts combined, including a couple of downright ugly outings) and the shut-down probably came at just the right time. Yes its too bad we don’t have him for the playoffs; we just have to hope this was the right decision and hope the team continues to make the playoffs. 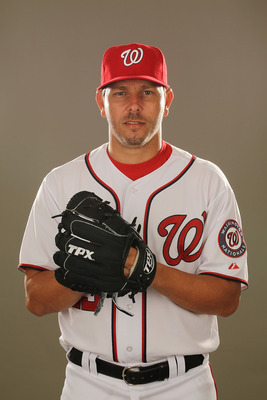 Outlook for next season: Washington’s 2013 opening day starter. Gio Gonzalez came over in the much maligned trade in the off-season and promptly dropped his bb/9, increased his K/9 rates, dropped his ERA and finished the year leading the league in wins. Final 2012 line: 21-9, 2.89 ERA, 1.129 whip. He led the league (among qualifiers) in K/9. 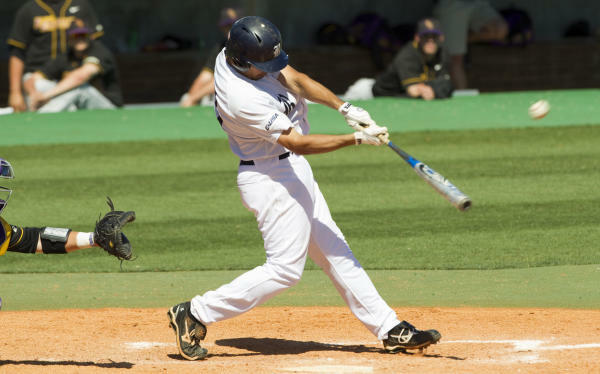 He led the league in terms of fewest home-runs allowed. He should get some consideration for the Cy Young (I’m predicting he comes in 3rd). 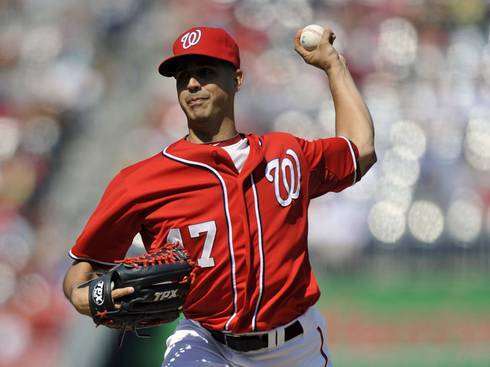 Just an all around fantastic debut for Gonzalez in Washington. His goal in 2013 should be to improve on his post-season performances. Outlook for next season: same as this year: Robin to Strasburg’s Batman. Washington #2 starter. Jordan Zimmermann toiled in the background of Washington’s two more well known aces and put up a season that had him being mentioned in Cy Young talks mid season. Final numbers: 12-8, 2.94 ERA, 1.17 whip. Some of his ancillary numbers were slightly worse in 2012 than in 2011 (his BB/9, his fip and xfip and his BABIP all trended the wrong way) and he seemed to drift on the mound in the latter part of the season. It is perhaps explained by his increased workload two years removed from Tommy John surgery, or perhaps just the randomness that baseball is known for. Either way, Zimmermann is tied to the club for at least 3 more seasons and forms the core of one of the best rotations in baseball. Outlook for next season: same as 2012: #3 starter and underrated Matt Cain-esque performances for years to some. Edwin Jackson was the man that Mike Rizzo wanted, and he got him, surprisingly signing a one-year deal for 2012 in the face of other multiple year offers and sliding into the Nats #4 starter role (despite being its highest paid pitcher). Jackson’s military background and frequent moves seem to have led to his itinerant baseball career: he’s now pitched for 7 teams in 10 seasons. The Nats got pretty much what was expected out of Jackson in 2012: hard-throwing MLB average production with flashes of brilliance (a 2-hit shutout against Cincinnati in April) and flashes of awfullness (8 earned runs given up in just 1 1/3 innings in St. Louis in September), and a .500 record inbetween. Final year stats: 10-11, 4.03 ERA and a 1.218 whip. Jackson switched agents this season, possibly indicating a disagreement over the way that Scott Boras has been handling his affairs, and seems set to finally cash in on his stability and fastball in a very weak starter market this off-season. Which is what makes the team’s decision to NOT give him a Qualifying Offer this past week slightly curious; perhaps the team was worried that Jackson, having lived on year-to-year deals and seemingly comfortable gambling his long-term financial future by accepting these one-year deals, would have just taken them up on the $13.3M offer (it representing a nice raise from 2012’s $11M) and suddenly the Nats would be “stuck” with a guy they didn’t want. That’s the only way I read the tea-leaves here. Other than that, perhaps it just wouldn’t play well in the locker room to have the team’s highest paid pitcher as its 5th starter (though, that didn’t hurt the San Francisco Giants much as they won two of the last three World Series in the same boat). Outlook for next season: pitching somewhere else. Ross Detwiler surprisingly won the #5 starter job out of spring training, struggled in May, leading to his being replaced in the rotation by eternal experiment Chien-Ming Wang, then playing the good soldier and waiting out Wang’s inevitable injury relapse to regain his starting spot and keep it the rest of the way. He pitched relatively effectively most of the season, resulting in a 10-8 record with a 3.40 ERA and 1.223 whip in 164 1/3 total innings. Detwiler, after years of ineffectiveness and injury-prone disappointment, seemed to finally put things together for the team in 2012. Unfortunately, a ridiculous 2007 call-up from Jim Bowden pre-maturely is forcing the Nats hand on Detwiler in terms of options status (he’s out of them) and arbitration pay (he’s a first time arbitration eligible player perhaps a couple seasons before he needed to be). Nonetheless, even his escalating pay for next year will make him a bargain if he produces at this level again. And we havn’t even mentioned the fact that he was the SOLE nats starter who redeemed himself in the post-season, a point that won’t be forgotten in subsequent years. Outlook for next season: firmly entrenched as the #4 starter, pending any major subsequent FA or trade acquisitions. Chien-Ming Wang suffered a fortuitiously timed “injury” at the end of spring training and spent the first 6 weeks pitching in the minors on “rehab.” He was recalled, replaced Detwiler in the rotation and gave the team four increasingly awful starts before the team realized that Detwiler was the solution all-along. Wang hung around long enough to prove he was incapable of pitching out of the bullpen, had another injury, and spent the next two months touring Washington’s minor league affiliates (Wang ended up making no less than 15 minor league starts this year, more starts than he had major league appearances) before getting recalled for a few late-season outings. I think it is safe to say that the Wang experiment, after 3 years, $7M in pay and probably nearly that much in airfare taking Wang to-and-from his various rehab assignments, is officially over in Washington. Outlook for next season: Minor League Free Agent with another organization. John Lannan was Washington’s starter insurance policy this year, surprisingly getting beat out for the #5 starter job in spring training (this, two years removed from being the Nats opening Day starter) and then spending most of the year pitching ineffectively in Syracuse. Lannan made two double-header starts during the season and then four “replacing Strasburg” starts in September, finishing up with a 4-1 record, a 4.13 ERA and a 97 ERA+ for the year, numbers slightly lower than his career averages but pretty typical for Lannan. Lannan is who he is; a softer-tossing lefty with a clean medical record (the only time I believe he’s ever missed was in 2010 when his elbow was sore; he never went on the DL and only missed one start). Lannan just doesn’t seem to be Rizzo’s kind of starter, and the rotation will undoubtedly be weaker just replacing Jackson one-for-one with Lannan. Plus, Lannan’s arbitration cost will certainly be north of his 2012 $5M pay, which virtually guarantees that Lannan will be non-tendered on or before November 30th of 2012. Lannan stated publically he wanted to be traded when he was demoted in April, and his non-tender opens a clean path for him to sell his wares to another organization that would guarantee him a rotation spot. Outlook for next season: I believe Lannan’s time in Washington is done; look for him to sign a 1yr, $3M offer to be a back-of-the-rotation starter on a rebuilding team (Houston, Kansas City, Chicago perhaps). Tom Gorzelanny got a spot start the last week of the season to save Gio Gonzalez’s arm once the Nats clinched the NL East. We’ll talk about Gorzelanny in the reliever section. Washington Relievers: taking a look at the relief corps at the end of the season. We’ll review from the back of the rotation “forward,” starting with the closers and ending with the mop-up guys. 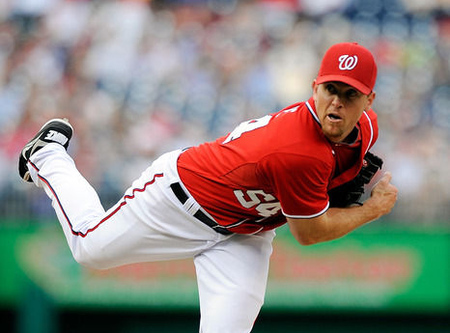 Drew Storen missed the first 3 1/2 months of the season from surgery to remove bone spurs from his elbow (which may or may not be related to his inverted-W mechanics, a tease on a future blog post on the topic…). Upon his return, he patiently waited for his chance while roommate Clippard struggled in the closer role and entered the post-season as the established closer. We all know what happened in Game 5 of the NLDS unfortunately, but a 4-run blow-up looks like an aberration for Storen’s season in general: a 2.37 ERA and sub 1.00 whip in 30 1/3 mostly high-leverage innings. His achieving super-2 status is worrisome for the team in perhaps 2015 when his salary has escalated, but for 2013, he will remain a relative bargain in the estimated $1.7-2M range. Outlook for Next Season: unlike in previous seasons, I think Storen’s injury makes him less likely to be traded; teams would want to see a full injury free season. He remains with the team as the established closer heading into 2013. Tyler Clippard grabbed the reigns of the closer job after others failed to do so and stuck with it most of the season, collecting 32 saves in 37 save opportunities. However, two losses and a bad blown save in September ballooned his ERA a full point in just 3 weeks and resulted with Clippard reverting to his 2011 role as 8th inning specialist. 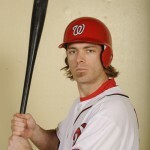 He gave up a critical solo home run in the fateful game 5 NLDS loss but otherwise looked decent in the post-season. The big decision the team now faces with Clippard is a large potential arbitration award; he will argue that he should be paid like a closer and will point at 32 saves as evidence that he’s a closer-quality player. MLBtraderumors estimates Clippard’s salary rising from 1.625M to $4.6M on the strength of his season. I suspect the team will return a far lower value and there could be an ugly arbitration hearing as a result. Clippard’s decline in form from 2011 also cost him some trade value, though the Nats could still make the argument that he’s a closer-quality guy and look to move him to a team needing a closer. Of course, that being said he’s an incredibly valuable member of this bullpen, a big reason the team won 98 games, and there’s no urgency to move him unless offered something great. Outlook for next season: Back in the 8th inning role, barring a surprise trade. Ryan Mattheus‘s first full season with the club resulted in an excellent find for the bullpen, providing great RHP middle-relief in the 6th and 7th innings. Final results: a 2.85 ERA, 1.146 whip and a 139 ERA+ in 66 1/3 innings. I think Davey Johnson will be rueing the decision not to use Mattheus in the NLDS game 5 middle-relief situation for the entirey of the off-season. Outlook for next season: firmly entrenched in the MLB bullpen. Craig Stammen‘s conversion from 4-A starter to excellent middle reliever is complete; his 169 ERA+ showing in 88 1/3 2012 innings was fantastic. As with a number of the Nats prominent bullpen arms, Stammen’s arbitration eligiblity may force the team’s hand at some point, but he seems set for a reasonable pay increase in 2013. Outlook for next season: also firmly entrenched in the MLB bullpen. Sean Burnett rebounded dramatically in 2012, returning to his excellent 2010 numbers and was an effective middle-to-late innings lefty reliever for the team. 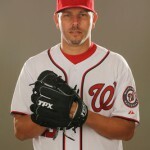 2012 numbers: 2.38 ERA, 1.235 whip and a 167 ERA+ figure in 56 2/3 innings. Burnett pitched out his contract year as best as could be expected, and subsequently declined his side of a mutual option for 2013. This was an expected move; Burnett is arguably the best or 2nd best lefty reliever on the FA market (along with Jeremy Affeldt) and should look to cash in. Will the Nats match his price on the open market or will they look elsewhere for solutions? The team really doesn’t have much in the way of quality lefty relievers in either AAA or AA and face losing both Burnett and Michael Gonzalez this off-season. Outlook for next season: Washington re-signs Burnett to a 3 year deal, possibly overpaying him but ensuring he remains with the team. Mike Gonzalez was on the street in May, signed a minor league FA deal and ended up giving the Nats nearly a full season of high-quality lefty relief. What a great signing. Final 2012 numbers: in 35 2/3 innings he had a 3.03 ERA, greater than a K/inning, and a .179 BAA versus lefties. I think it is safe to say Gonzalez made himself some money this season; apparently 10 teams have already inquired about his services. Outlook for next season: Washington backs out of a FA bidding war for the 34-yr old and he signs a 2 year deal elsewhere. Tom Gorzelanny served as the long-man/mop up guy for the year and continued his trend of excellent relief appearances (as compared to his numbers as a starter) in 2012. He gave the team 72 innings, posted a 2.88 ERA and was constantly available for spot starts if needed. The problem with Gorzelanny is the same problem the team probably will have with Lannan; he’s going to command more in arbitration than the team wants to pay. Gorzelanny made $3M in 2012 and clearly will earn a raise after his 138 ERA+ season. However, you just cannot pay mop-up guys that kind of money. Look for the team to non-tender Gorzelanny on or before November 30th. From there, once he hits the open market anything could happen, but teams know he’s no longer a starter. Outlook for next season: Washington brings him back on a contract of similar value to the one he played under this year. Henry Rodriguez continued his Jeckyl-and-Hyde career with this team, mostly on the “Hyde” side in 2012, pitching 29 1/3 mostly awful innings before hitting the DL to remove bone spurs from his elbow in August. His injury report for 2012 is all over the road; he slammed his fingers in a bathroom door, then subsequently hit the 15-day DL for a strain in that same hand, then hurt his back (which is why he was on the 15- and then 60-day DL), then finally had the elbow procedure at the end of August. Was his performance all related to his various maladies this year? Possibly. But it is safe to say that my patience has run out with H-Rod, and possibly management’s has as well. He’s out of options and faces the competition of a slew of high-performing right-handers with great stuff and better control for the likely 5 bullpen spots in 2013. Outlook for next season: Rodriguez fails to make the MLB bullpen out of spring training, gets stashed on the DL again, and eventually gets DFA’d as he shows a Steve Dalkowski inability to find the plate. Brad Lidge signed a 1yr $1M deal in the off-season which I thought was a steal. However, the 35-yr old wasn’t able to hold onto either the closer job or a bullpen job in general after posting a 9.64 ERA in his first 11 appearances. Lidge was released in late June and (as far as I can tell) did not get picked up by another team. Outlook for next season: Likely out of baseball and facing retirement. Christian Garcia blew through the minors, earned a 9/1 call up after years of injury issues and pitched well enough to earn the 8th bullpen spot on the post-season roster. That’s quite a rise from where Garcia was in July 2011, when the Nationals signed him as a minor league free agent after the Yankees gave up on the once electrifying prospect. He threw well enough in his short MLB stint that the team has made noise about converting him back to a starter. While I’d love to see Garcia’s stuff in a starting role, the odds of him converting back successfully are slim; he has twice had elbow surgery (2009 and 2010) and had an additional knee issue before that. I think the team will take the safer route and keep him as a middle-relief candidate who throws his nasty stuff. Outlook for next season: MLB middle reliever. Ryan Perry was ineffective in 7 appearances in relief and was subsequently dumped to AA and converted back to a starter. His AA season was reviewed here: he was good in AA, but how does that translate to his 2013? His lack of options and probable lack of a 25-man roster spot may conspire against him unless he gets an extra option. A commenter here claims that Perry will get a 4th option because he got to the majors so quickly. A quick google of the rule indicates this may be the case; the rule is explained here by BaseballAmerica’s Jim Callis, and Perry, by virtue of being drafted in 2008 and then making the majors by 2009 may indeed qualify. Lets hope so. Outlook for next season: (assuming he gets an extra option): AAA rotation. 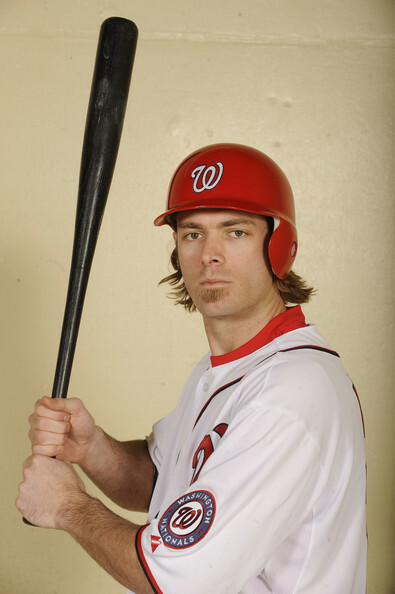 Zach Duke was awareded a 9/1 call-up after an excellent season toiling in AAA for the club. He was a minor league FA signee and seems to have done enough to earn another shot at a major league starting job. Just not for Washington. Outlook for next season: MLFA with another club. The Nats pitching staff led the league in ERA while being its 3rd youngest squad. The 5 core starters made 150 of 162 starts and we used just 8 starters all year, a fantastic turn around from the likes of 2010 (14 different starters) or 2009 (12 different starters). 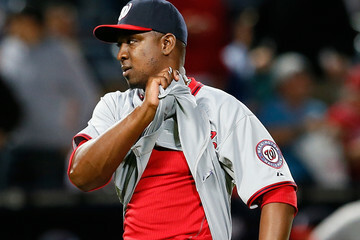 Consistency in the rotation is a huge key to success for major league teams, and the Nats experienced just that in 2012. Tweaks are needed for 2013. We’re potentially losing all three of the lefties in the pen. We have two closer-quality arms but only need one. And we’re likely looking for a 5th starter. Our AAA and AA teams aren’t quite ready to deliver replacements, so one-year deals may be in order. Not much else to complain about after a 98 win season.